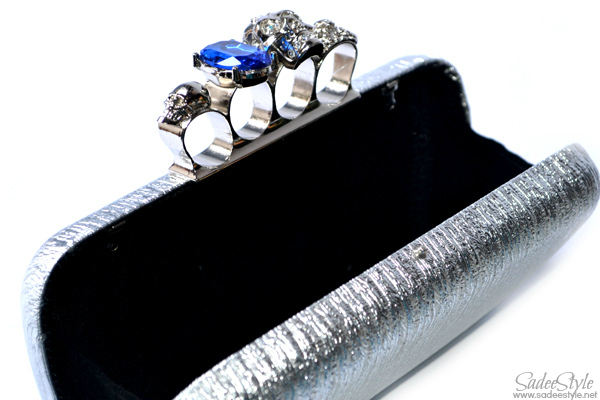 Fashionable clutches are a vital part of every girl's wardrobe. 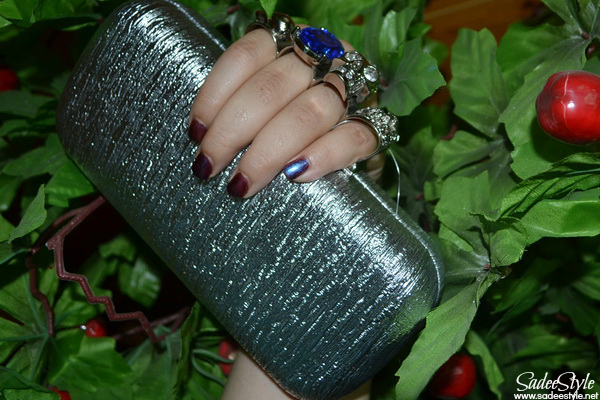 There are huge colors, style and a variety of clutches widely available. 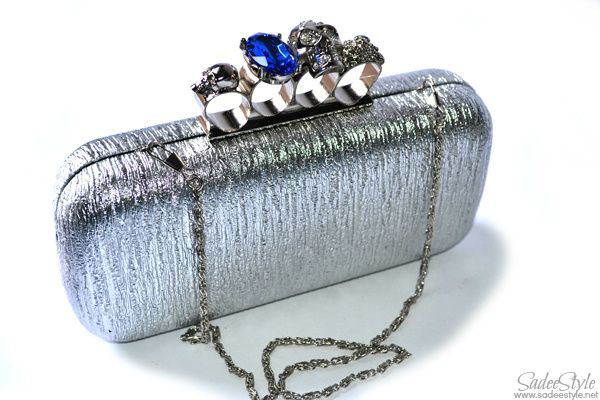 I totally fell in love with my new clutch from Indressme.com. When it comes to fashion handbags/clutches trends, I am first to admit that I am verging on the obsessional. I immediately grabbed it when I saw it on sale at indressme. It was also available in black and golden colors, but the silver one was more appealing and stylish so I decided to go with this one. I adore the fastest shipping ever and amazingly they are offering free worldwide delivery on every product. 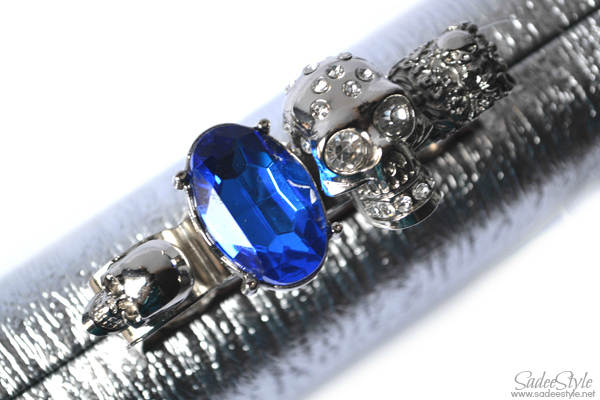 Although they have very limited stock available at the moment, but every product is just so beautiful and tempting. I've been wanting this clutch for a long time. Once I ordered it from oasap, but my package was lost while arriving. 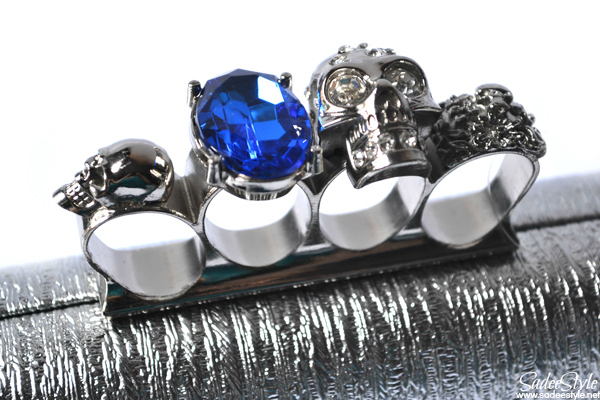 However, I was confused in the start because of the skull rings on the top of the clutch. I'm not a fan or scary, creepy and skulls kind of things, but I am very fond of adopting new trends and fashion. 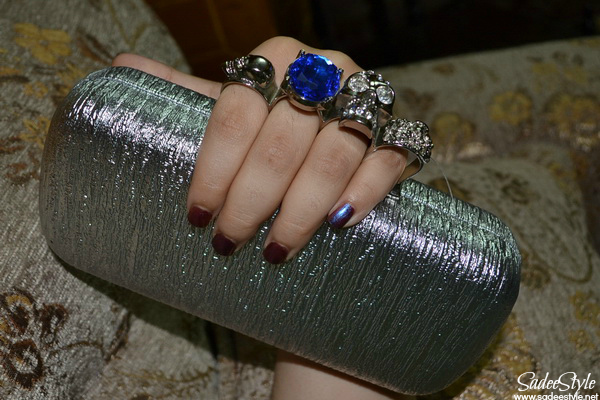 The clutch itself was very stylish with large blue gem studded on beautifully. I was impressed and finally made my mind and order it. I found it more beautiful in real, it's according to new trend and style and the best part is you can wear it in a variety of ways fascinating. I saw a beautiful piece of decoration a crystal rose at a site when I was about to checkout I could not resist myself to add it into my cart. 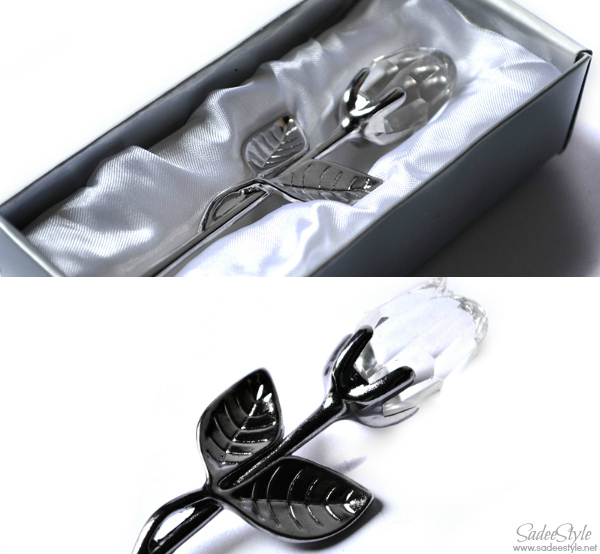 It was an elegant piece of decoration made with steel and crystal. Overall I had a great experience with indressme.com I would highly recommend it. Wow! 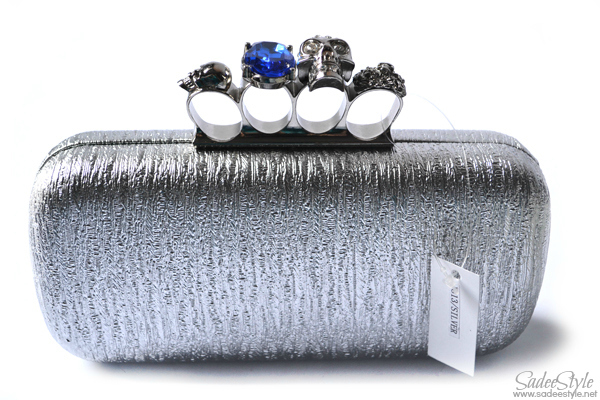 your Silver Clutch are really so cute.